Paducah Bank is committed to honoring all of our clients, but we believe that a special place of honor belongs to our local area veterans and military members. We show that commitment to recognize this special group of our local citizenry in several ways. This team is made up of Paducah Bank employees who either are veterans themselves or they love someone who has served our country. They lead efforts within the bank and in the community to honor veterans of every era and support the families of active duty military service people. At the Paducah Bank Main office, Lone Oak, Reidland, and Strawberry Hill locations special parking is reserved especially for veterans and active duty military personnel. In addition to our own locations, Paducah Bank provides reserved parking signage to a limited number of local organizations each year. Each year, employees of Paducah Bank participate in local area veteran related events including the Veterans Day parade and other events and initiatives. If you would like your event or initiative to be considered by our organization for participation, please contact honorone@paducahbank.com. 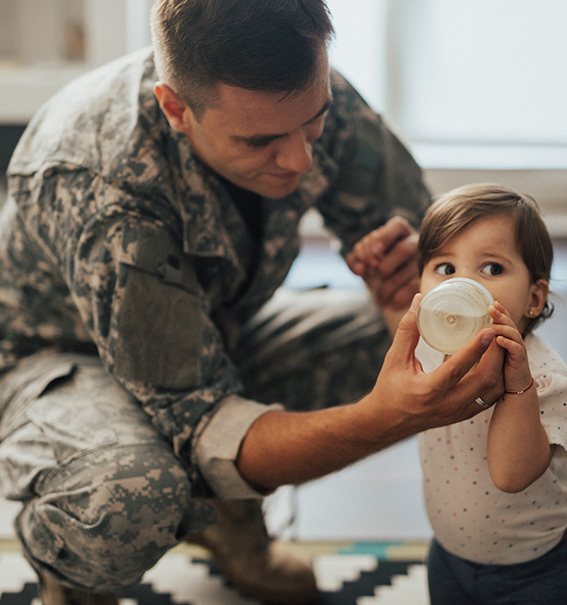 Our mortgage team is committed to helping local veterans transition between homes as smoothly as possible. We realize that this requires lenders who are trained to understand the VA loan program and assist both the borrower and their realtor through the process of financing a new home. To learn more about our VA Loan program, call us at 270.575.5700.